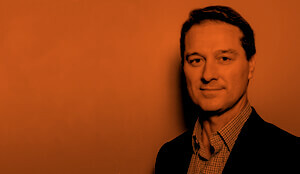 Home > Insights > US Inflation: Back to the bad old 1960s? 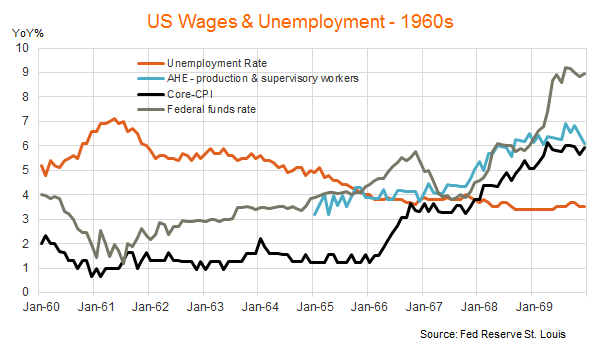 With the US labour market tight and inflation starting to lift, one similar historical episode that has attracted investor attention, and which may be instructive for today’s market, relates to the late 1960s. At that time US wage and price inflation started to lift quite quickly, which eventually led to higher interest rates and a downturn in the sharemarket. This note considers the question: could history repeat? As seen in the chart below, the US unemployment rate has now declined to a relatively low level of just under 4%. At the same time, wage growth has slowly but surely started to lift, with annual growth in average hourly earnings (AHE) hitting 2.9% in the year to August. Annual core-consumer price inflation has also lifted to just over 2%. The US economy remains strong, with tax cuts – and a prospective widening in the US Federal Budget deficit – adding to economic growth. Against this backdrop, some analysts have drawn parallels with the situation in the late-1960s. 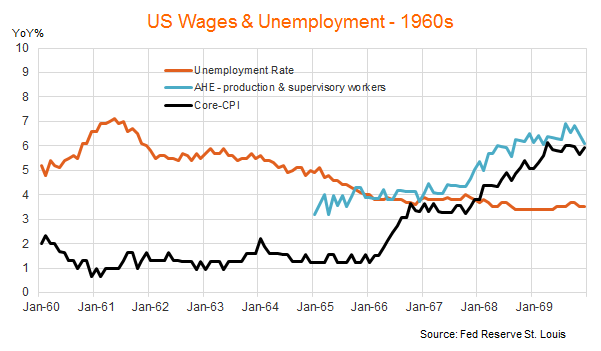 As seen in the chart below, by early-1966 the US unemployment rate was also starting to nudge below 4%, and consumer price inflation had also begun to rise strongly from relatively low levels. By late-1967, annual wage growth also began to accelerate, reaching around 6 to 7% by 1968 and 1969. Some similarities between the two periods include strong fiscal stimulus – today it is via tax cuts, whereas in the late 1960s it was through increased military spending on the Vietnam war and expanded social services, such as free health care (Medicaid) for poor families. That said, there are also some important differences between now and then. For starters, one of the key drivers of the initial move higher in price inflation during the late 1960s was higher medical costs, in large part because increased government subsidies caused private medical providers to simply hike their rates. As seen in the chart below, medical costs started to rise in 1965 and surged to an annual rate of over 7% by early 1967. 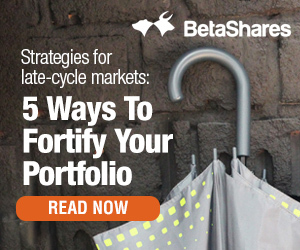 Medical costs are more subdued of late, running at around 2% p.a. Also noteworthy is that wage growth (the blue line in the chart above) did not really start to accelerate until late 1967 and tended to lag the earlier rise in overall price inflation that began a year or so earlier. So wages responded to the rise in inflation, triggering what for a time became a wage-price spiral. Another important difference is inflation expectations are arguably better anchored today through an explicit Fed inflation target. Back in the late 1960s the Federal Reserve was slow in tightening policy to thwart the early stages of the wage-price spiral. As seen in the chart below, the Federal funds policy rate did gradually rise through 1965 and 1966 but this was then reversed from late 1966 to mid-1967. Interest rates eventually went much higher as inflation took off, but by that stage it was too late to stop the onset of recession and sharemarket downturn. Of course, whether the Fed would act more quickly today remains to be seen, but at least it’s credibility – and inflation expectations more generally – are arguably better anchored these days because of its explicit 2% inflation target. Of course, greater Fed credibility today may be cold comfort for investors if inflation pressures really do start to build. 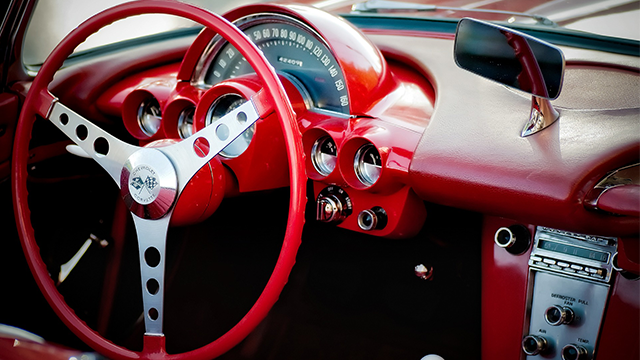 After all, if the Fed has to raise rates dramatically to head off inflation, then the bond and sharemarket reactions today might not be that different to the late 1960s – even if inflation ends up remaining more contained. In terms of financial markets, therefore, the key question is whether inflation pressures will rise as much as was evident in the late 1960s. And in this regard, it’s important to remember the important structural changes to worker bargaining power that have taken place over the last 50 years. 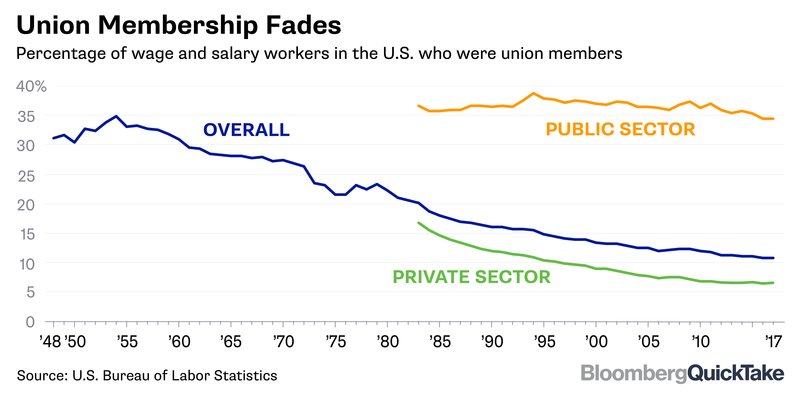 For starters, as seen in the chart below, the rate of unionisation across the country has fallen by almost two thirds – from around 27% of the workforce in the late 1960s, to just over 10% today. The US economy is also much more open to international competition, with the import-to-GDP ratio more than tripling from around 5% to over 15% over this period. More generally, there is now extensive evidence from many countries suggesting that the relationship between wage pressures and the unemployment rate (i.e. the “Phillips curve”) has weakened notably in recent years. 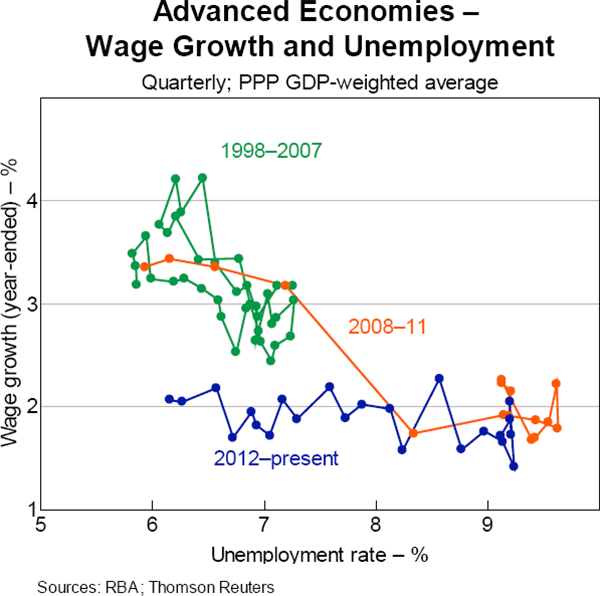 As seen in the chart below, across advanced industrial countries wage growth today still remains notably lower than in the pre-GFC era – even though unemployment rates have generally fallen back to similar pre-GFC levels. 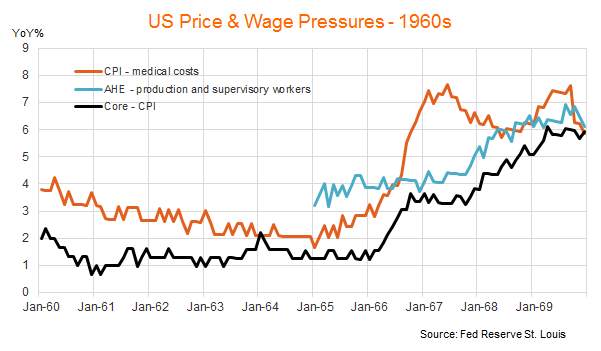 All up, while they are many parallels between the United States economy today and that of the late 1960s, the risk of a similar wage-price spiral developing now seems somewhat less. This reflects both a more competitive labour market, less ad-hoc costs pressures (such as medical costs) and better anchored inflation expectations given the Fed’s adoption of an explicit inflation target. 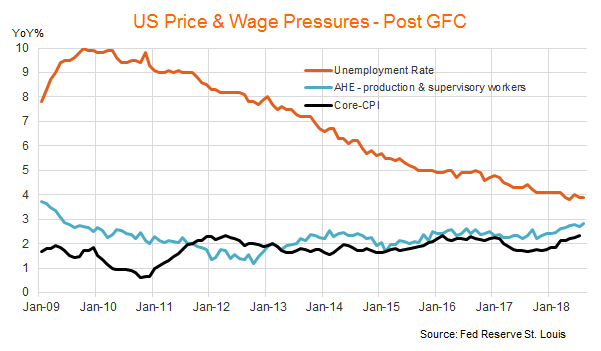 That said, with the US labour market tightening, risks clearly remain and wage and price developments in the United States will have an important bearing on global financial markets for some time to come.